Kenya is one of Africa’s most dynamic and entrepreneurial economies, but one with increasing water security risks. These risks are of growing concern to the poor. 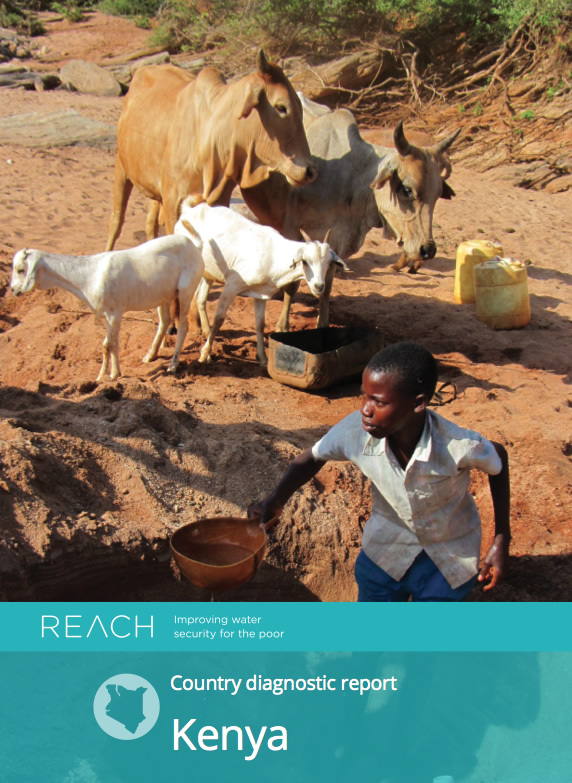 It is clear that current poverty metrics do not capture the impact and implications of water shocks or long-term human exposure to water risks. This working paper highlights four significant but uncertain developments that will interact to determine Kenya’s progress in its quest to reach middle-income status by 2030 and improve water security for its 17 million poor people: (1) the impacts of decentralisation, (2) resilience to climate shocks, (3) reducing inequality, and (4) harnessing mobile ecosystems. The working paper presents potential locations to establish Water Security Observatories that address these key issues. Through a risk-based approach and science-practitioner partnerships, the observatories are proposed to examine ‘small towns in fragile lands’ and ‘build water secure institutions’ with the goal of reducing water security risks for the poor.